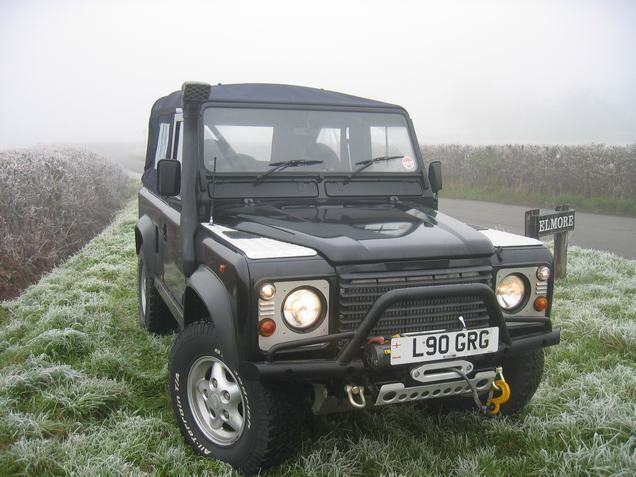 Phase II is the most popular conversion, at 538 plus VAT fully fitted. Using the larger Allard intercooler, Tdi power is increased from 110bhp to 132bhp (3750rpm); torque is increased from 1951b ft to 2271b ft at 2000 rpm. In addition, Phase III has an uprated turbocharger and a boost control valve (for 1.25 bar, maximum) to match the higher airflow. Power is 143bhp (2571b ft torque) for 1060 plus VAT Phase IV has an additional two stage intercooler. In addition to the standard air-to-air Intercooler, It is water cooled. 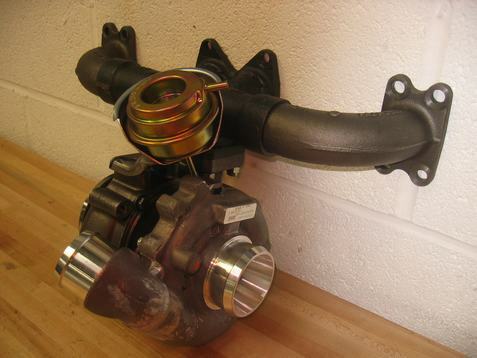 The uprated, boosted turbo gives about 150bhp, pushing torque up 38 per cent from standard. The price for this is 1279 + VAT, fully-fitted. Turbocharging is a way of forcing more air into the cylinders so that a greater volume of fuel and air is converted into power. However, there is a downside, namely that by compressing the air it becomes heated, thus putting the engine and its components under a lot of thermal stress. By placing an intercooler between the turbo and the inlet manifold, the pressurised air is cooled on its way to the combustion chamber, thus helping reduce the negative heating effect of compressing the air with the turbo. In addition to this, making the air cooler also makes it more dense, so you can effectively cram more air into the combustion chamber, allowing for a leaner fuel/air mixture should you want greater fuel economy. Alternatively, you can increase the fuelling and extract more power without significantly affecting economy or raising vehicle emissions to unacceptable levels. 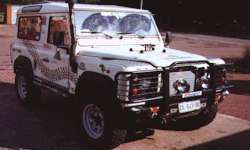 Of course, most Land Rover turbo diesels (including all Tdi models and the Range Rover BMW unit) already have intercoolers fitted as standard to boost the standard vehicle's potential. However, as Land Rover are producing vehicles for worldwide markets and the 'average' driver, their intercooler is not as large as it could be. Allard's 'Phase II' intercooler for the Tdi engine, for example, is nearly three times larger than the standard Land Rover one, therefore offering much more efficient cooling with the minimum amount of modification. It is this lack of excess modification that makes the Allard conversion particularly appealing. 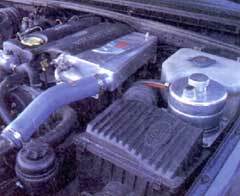 Indeed, the thermal efficiency of the larger Allard intercooler means that thermal loads on the engine are actually reduced, and because the boost on the turbo is unchanged, the engine has improved performance without the stresses synonymous with other performance enhancing conversions for diesels. 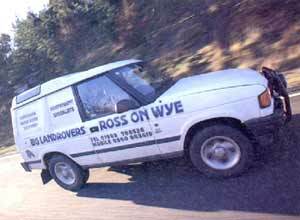 Using a 1979 Range Rover chassis as a base, Paul has rebuilt the vehicle from the ground up, using a body salvaged from a fire-damaged Discovery van. To finish the conversion off, Paul has fitted a 300Tdi with an Allard Phase II kit, featuring a larger air-to-air intercooler and a modified pump with fuelling control. Paul has also increased the turbo boost, but Allard is quick to point out that this is not usually recommended; it can place extra stress on the engine and its components. 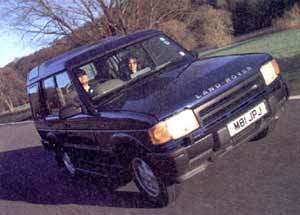 But it does make the Disco van extremely quick. Craig has fitted the all-singing, Allard Phase IV conversion; it features two-stage intercooling. The second water intercooler has been grafted on to the inlet manifold, with a separate pump to push the water to its own cooling radiator. 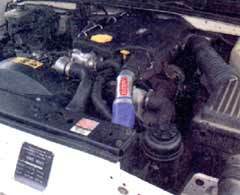 An adjustable fuel and boost switch, plus an uprated Garrett AiResearch turbo has also been fitted. With a maximum output approaching 150bhp, Craig finds the power particularly useful when towing his 26-foot boat. "It's money well spent."